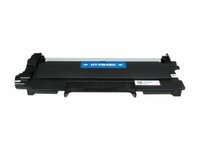 The brother TN450 Toner Cartridge Black remanufactured Compatible Laser Cartridges are replacement laser cartridges that are manufactured not by the OEM (Original Equipment Manufacturer) brother TN450 Toner Cartridge Black remanufactured, but by a third party. These cartridges will function and work in the same way that an OEM Laser Cartridge would. They are designed to replace the original cartridge and fit into your specific BROTHER printer. Not an OEM Laser Cartridge. We have bought these multiple times for our business and it works great. For the amount of printing we do this last as much as original in our experience. I buy this ink allllll the time. the cost is so low. This one really works and at a much smaller hit to the wallet. Great toner cartridge for not a lot of money. Lasts! I bought two cartridges in Sept, 2012, and just put in the second one. Really puts out --clear print, and I'm not constantly printing, but they last a long time, and really do the job. I recommend. I will never go back to staples and spend twice the price for same quality toner. I haven't had any issues with the print or color. I use my Brother printer A LOT and I've never had a problem with the remanufactured cartridges. Great way to save money and still get quality printing. Have ordered a few of these replacement cartridges and have not had any problems with any of them. We have purchased this product 2 times now for our Brother machine. It has a long life and great quality print. Great works just like the real one. Works just as well as the OEM. Saves me a ton of money! Never had a problem with these, and so nice to save over the outrageously priced OEM cartridges. My printer likes these, we will continue to buy from IJSS. I have been ordering from IJS for about a year now and have always found their replacement toner cartridges to be high quality. The cartridges are as good as if not better than OEM. I highly reccommend all of their products.